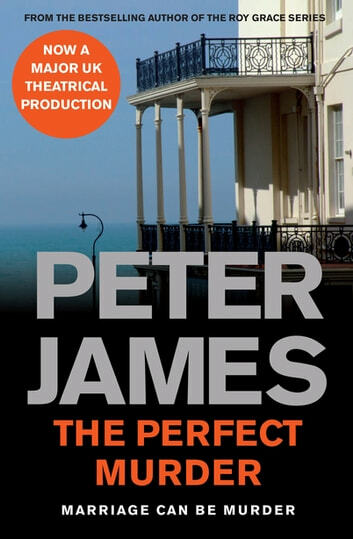 The Perfect Murder is a suspenseful and gripping novella from Peter James, the bestselling author of the phenomenally successful Roy Grace series. Victor Smiley and his wife Joan have been married for nearly twenty years. Victor secretly loathes Joan more and more each day. Joan is bored by Victor, and his snoring drives her mad. Their marriage has reached a crisis point . . .
Victor decides there is only one way to get Joan out of his life for ever, but he's about to get a nasty surprise. As it turns out, Victor's not the only one with murder in mind . . .
From start too finish all in one go. Well written, kept me hooked. The book is better than the stage version. Once started had to read to the end. It is a short story (I read it in about 2:12 hours according to kobo) but kept me glued till the very end. It has a bit of everything even a bit of paranormal and dear old Karma ♡ Peter James! !